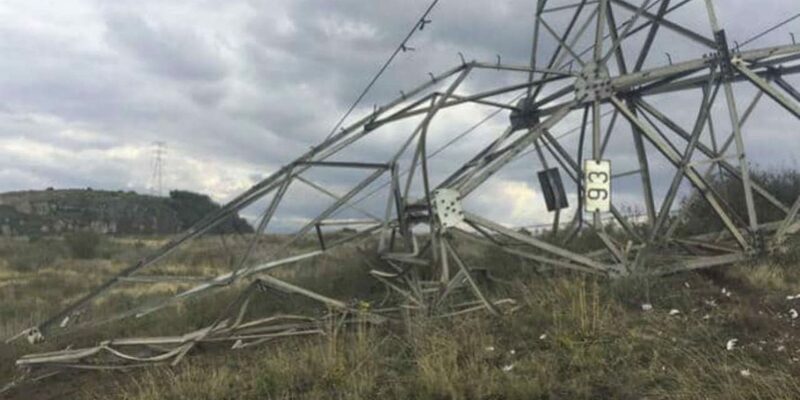 An alleged ELN attack in Colombia’s southwest left more than a quarter of a million people without power on Wednesday after an electrical tower was knocked down. Witnesses say they heard a loud explosion before the lights went out in Ricaurte, a town close to the border with Ecuador. The power outage stretched along the province all the way to the coastal town of Tumaco, the main port town in the Nariño province. The commander of Colombia’s armed forces, General Alberto Mejia, confirmed to Blu Radio that the ELN was behind the attack. “This is a place where the Southern Communards Front of the ELN commits crimes,” Mejia said. The military commander ruled out the possibility that the attack was carried out by dissident FARC guerrillas who are also active in the area. This is not the first time armed groups have attacked the region’s electrical power system. Electrical towers in Tumaco have been attacked in March and April of this year. Nariño’s governor, Camilo Romero, called for the attacks to stop and questioned the effectiveness of the national government’s claimed successes in efforts to make peace with Marxist guerrillas. “The armed conflict continues in Nariño. Peace does not exist,” the leader said. Peace efforts with Colombia’s largest active guerrilla group, the ELN, stalled this week after Ecuador withdrew as host of the peace negotiations. This comes at a time of where a peace process with FARC guerrillas is in danger of collapse amid major state failures to execute a 2016 peace deal and US claims that the former guerrillas’ ideologue was involved in drug trafficking. The ELN has orchestrated several attacks on government forces this year and currently is at war with another guerrilla dissident group in northwestern Colombia. Fighting also broke out with rival paramilitary factions in the north of the country. President Juan Manuel Santos, who won the Nobel Peace prize for his efforts to end the armed conflict in 2016, has come under pressure in Colombia and abroad for his failures to effectively bring peace to the country that has seen armed conflict since the 1960s.